Flagging Ireland is a new 52-page full colour publication (August 2015) by the Genealogical Society of Ireland, edited by Stan Zamyatin. 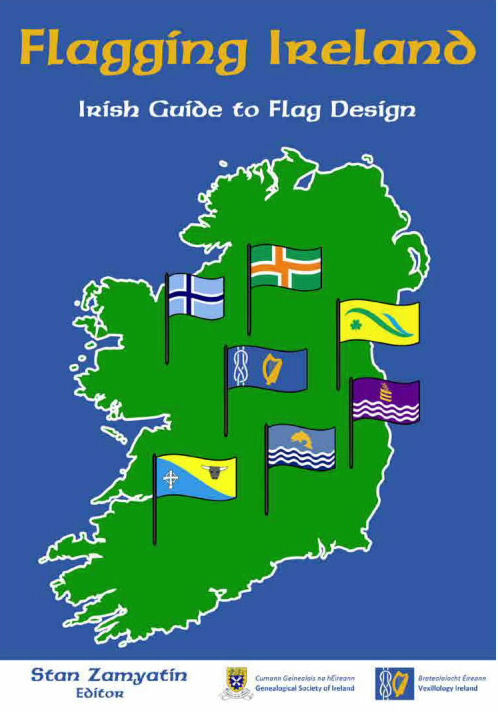 It deals with the design and use of flags in Ireland, north and south. It is intended for use by school;s, colleges, sporting clubs and local communities to assist them in the design, manufacture and use of flags. This guide takes the reader through the steps to create a wonderfully vibrant and visible representation of the unique local identities of communities and groups. For the month of August, the book is available at a discount of €3.